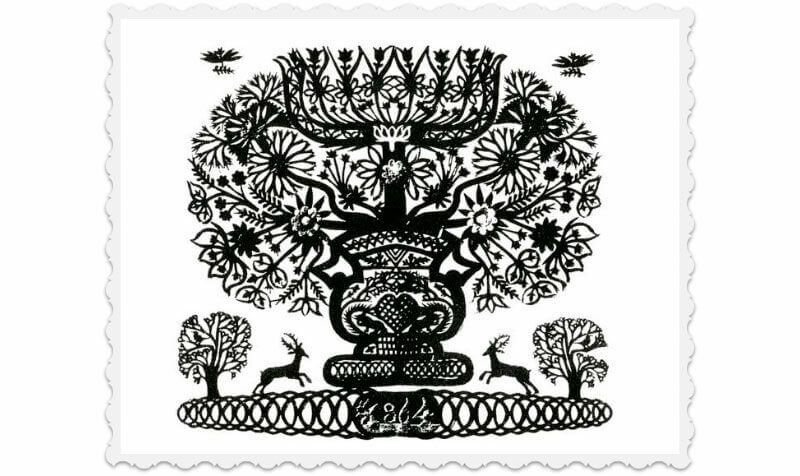 Of all the traditional folk arts, paper or silhouette cutting celebrates Swissness in ways none others manage to achieve. In French, this craft is called découpage, while in German, it is referred to as Scherenschnitt. Combining precision and flamboyance, they capture the Swiss love of order and reliability; of family and community; of rituals both daily and seasonal; of its landscape, nature, and animals; and of its customs. They express both the serious and the playful in the Swiss character - its discipline as well as its warm-hearted sentimentality. For generations, the paper cutters of Château d-Oex and the valley of the Pays-d'Enhaut have earned this corner of the canton of Vaud a global reputation as a center of excellence in découpage. The village of Château d-Oex is located halfway between Gstaad and Gruyère. 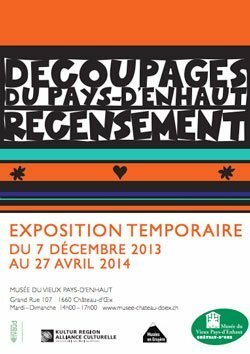 To showcase this achievement and to perpetuate the folk art's highest skills, traditions and tools, the Musée du Vieux Pays-d'Enhaut at Château d-Oex is dedicating a special exhibit to découpage through April 27. 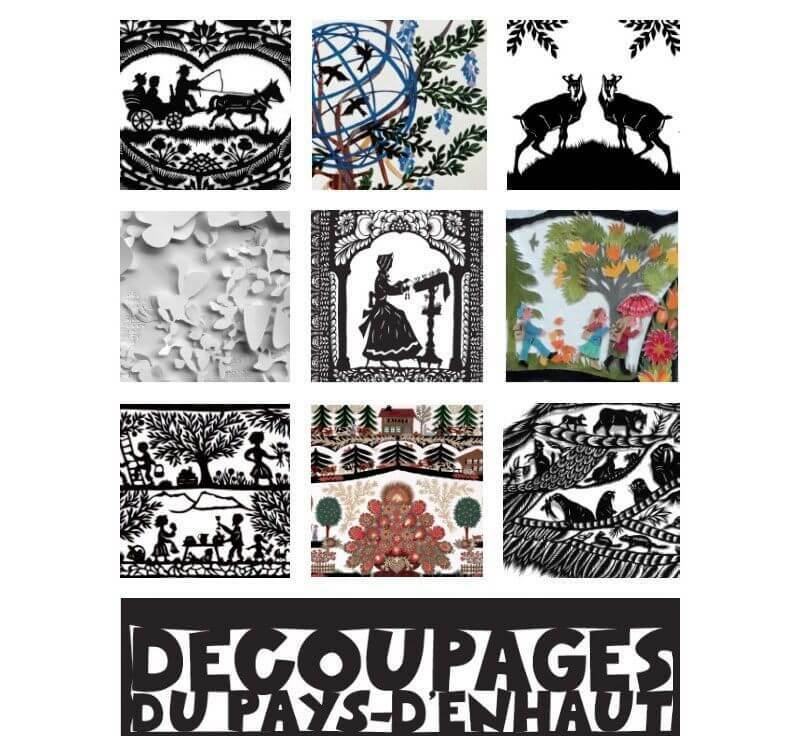 The exhibit is called Découpage du Pays-d'Enhaut - Recensement, which translates to Paper Cuts of the Pays-d'Enhaut - A Census. Among more than sixty découpage display from past and present generations, you can find many by local découpage pioneers Jean-Jacob Hauswirth (1809-1871) and Louis Saugy (1871-1953). A poor woodcutter, Hauswirth gave his cuttings to local families as thanks for a meal given in exchange for his daily labors. Ignored for more than forty years after his death, their artistic and ethnological value were finally recognized during a chance visit by a museum curator who ensured the region's artistic heritage was not lost via tourists to foreign homes and museums. Today, découpage continues to flourish locally. And to juxtapose traditional with modern approaches to the craft, the exhibition also displays paper cuts by 15 renowned modern practitioners - some well established, others new to the scene. Some artists work with traditional motifs such as animals and local customs, while others spotlight modern topics such as women's rights and the environment. Classic black-and-white symmetrical patterns make an appearance, as do colored and all-white, asymmetrical compositions. The exhibition is a wonderful opportunity to see this beautiful region in its original setting as it appeared over a hundred years ago. It allows for discovering a folk art tradition that speaks so uniquely about this country, its customs, and its people. 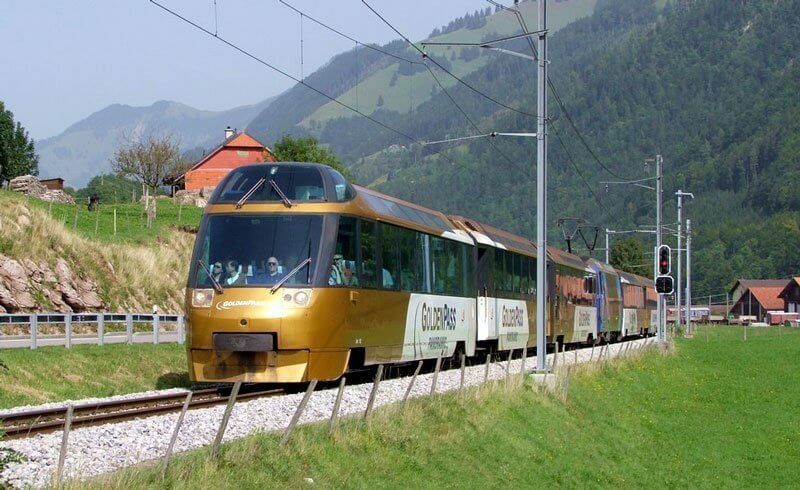 - Transportation on the Cheese Train from Montreux to Château d'Oex, which is part of the GoldenPass railway. It sounds like a perfect way to enjoy a day out with the family without having to worry about driving or thinking up where to go for lunch! Elena is a Geneva area writer and blogger who celebrates Swiss culture and creativity in art, décor, design, food, fashion, film and festivals.